Died: October 19, 2010 in Operation Enduring Freedom. 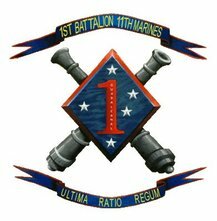 Unit: 1st Battalion, 11th Marine Regiment, 1st Marine Division, I Marine Expeditionary Force, Camp Pendleton, Calif.
Lance Cpl. Francisco R. Jackson, 24, of Elizabeth, N.J., died Oct. 19 while conducting combat operations in Helmand province, Afghanistan. 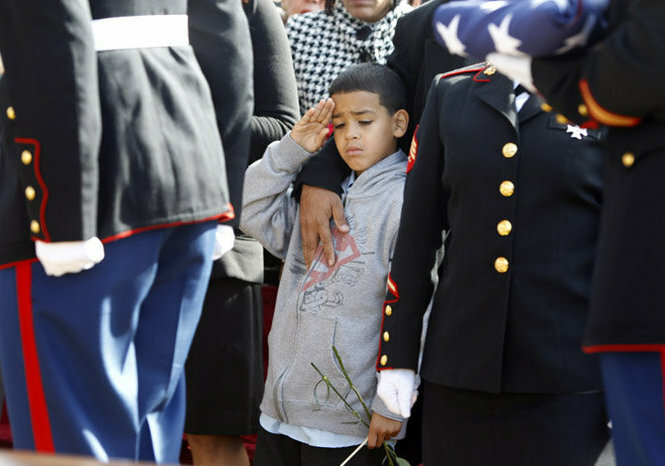 He was assigned to the 1st Battalion, 11th Marine Regiment, 1st Marine Division, I Marine Expeditionary Force, Camp Pendleton, Calif.
Coming so soon after Jackson’s phone call from Afghanistan, the shock of his death has devastated the family, said Cordoba, 22, of Elizabeth. They had already started to make plans for Jackson’s return, expected at the end of November, she said. "Once, my family went to the Bronx Zoo and he said we were going to have to do that again when he got home," Cordoba said. "This has been hard on everybody." A field artillery cannoneer, LCpl. Jackson enlisted in the Marine Corps a year ago and was on his first combat deployment. 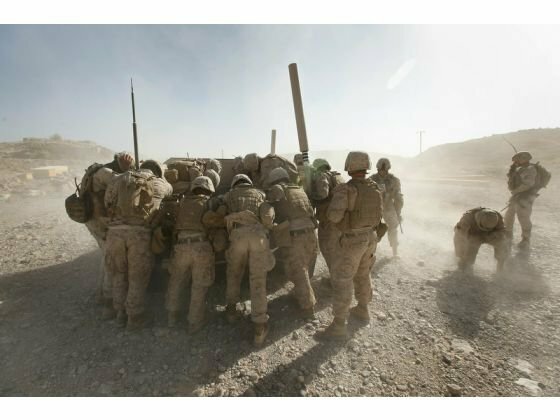 He had been assigned to the 1st Battalion, 11th Marine Regiment, 1st Marine Division at Camp Pendleton, Calif., and already had been awarded a Purple Heart. 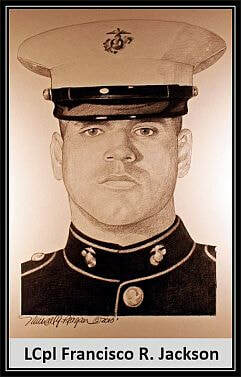 Francisco completed his mission October 19, 2010 while out on a dismounted patrol when he succumbed to wounds inflicted by insurgents who attacked his unit with an improvised explosive device. Jackson enlisted in the Marine Corps on Oct. 13, 2009. This was his first combat deployment, the news release said. His personal service awards include the Purple Heart, Combat Action Ribbon, National Defense Service Medal, Global War on Terrorism Service Medal, Sea Service Deployment Ribbon and Afghanistan Campaign Medal. A journalist embedded with India Battery, 3rd Battalion, 12th Marines captured the reaction of LCpl. Jackson’s comrades as they transported him when they fell and also of others in the unit who were not present but heard the news over the radio. Francisco’s death hit them all very hard and they should remain in the prayers of all of us for strength and focus. They will need to defer their grief and anger to a more appropriate time..
Jackson, who leaves behind a wife and a son, emigrated from the Dominican Republic at a young age and grew up in downtown Elizabeth, Cordoba said. He was the eldest of four children, with two sisters and one brother, she said. "He always protected me in school, with guys," Cordoba said. He attended the William F. Halsey House, part of Elizabeth High School, before transferring to Union County Vocational-Technical Schools in March 2002, a district spokeswoman said. He decided to enlist last year partly because he had plans to become an engineer, and hoped the Marines would guide him to a better life, Cordoba said. The military was also a feature of family life, she said: a grandfather served in the Dominican Republic military, Cordoba said. "He is an example," she said. 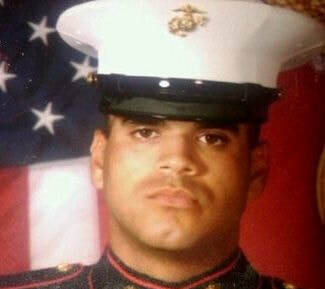 "He was an excellent Marine, friend, family member. He died as a hero." He is the 26th service member with ties to New Jersey to die in Afghanistan since the war began in 2001. Roughly 100 others have died in Iraq since the invasion in 2003. 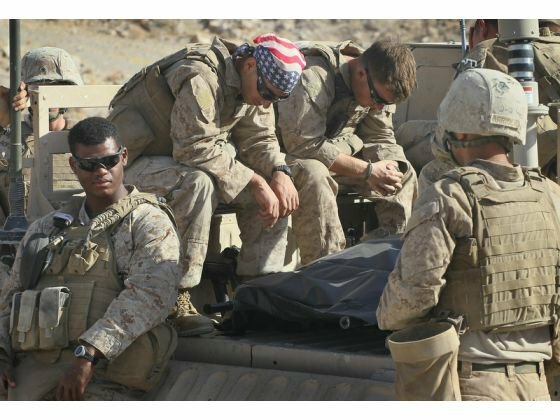 U.S. Marines and Navy corpsman with India Battery, 3rd Battalion, 12th Marine Regiment quietly reflect on the loss of LCpl. 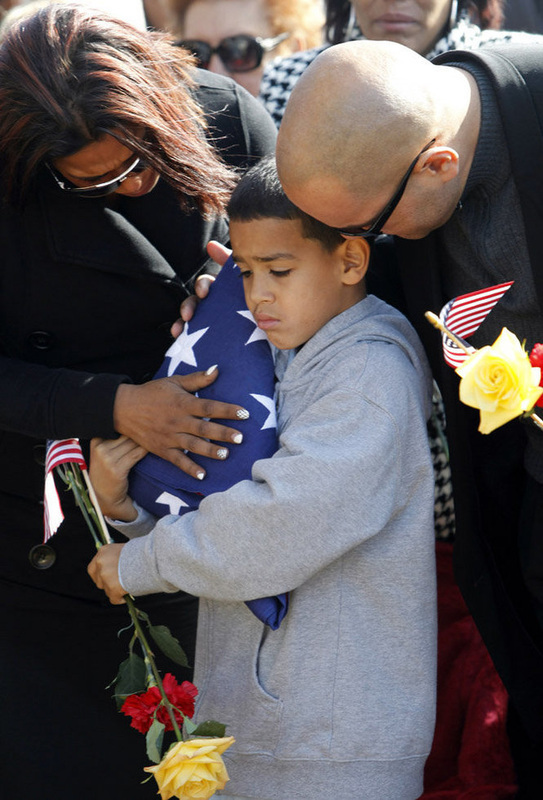 Francisco Jackson of Elizabeth, NJ while escorting his remains to an aircraft for the journey home at Forward Operating Base (FOB) Zeebrugge on October 19, 2010 in Kajaki, Afghanistan. Jackson was killed by an improvised explosive device (IED) while on patrol near the FOB earlier in the day. The Marines of India Battery, 3rd Battalion, 12th Marine Regiment are responsible for securing the area near the Kajaki Dam on the Helmand River. Marines with India Battery, 3rd Battalion, 12th Marine Regiment protect the remains of LCpl. Francisco Jackson of Elizabeth, NJ from the rotor wash of an Osprey aircraft at Forward Operating Base (FOB) Zeebrugge on October 19, 2010 in Kajaki, Afghanistan. The Osprey ride will begin Jackson's journey home after being killed during a patrol earlier in the day. The Marines of India Battery, 3rd Battalion, 12th Marine Regiment are responsible for securing the area near the Kajaki Dam on the Helmand River.